Little did Sir Arthur Conan Doyle realize when he first introduced "Sherlock Holmes" to the world in 1887, that some 125+ years later, the world would still not be able to get enough of this irascible literary character. Not only has there been over 100+ actors who have stepped into this famous detective's shoes on stage, screen, radio and TV since the early 1900s -- in just this past few years -- 21st Century actors, the likes of Robert Downey Jr, Jonny Lee Sir Arthur Conan DoyleMiller and Benedict Cumberbatch have also assumed the role, accompanied by all kinds of modern-day embellishments - including taking literary license with the gender of Holme's infamous nemesis, Moriarty (aka "Jamie" in the popular TV series, 'Elementary'). Now with our favorite sleuth able to roam the highways and bi-ways of cyberspace, was it any surprise when software developers started creating apps to enhance our experiences with the man who excelled in powers of deduction? 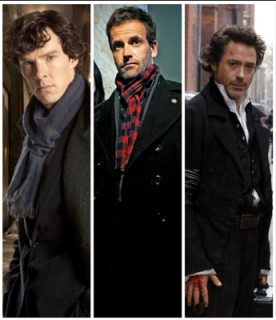 Here's are my top 3 picks (out of the dozens of downloads available today) for those folks who favor the current crop of Sherlocks. This free app was created for Amazon's Kindle Fire and can be synced with one's Blu-ray movie to uncover a whole new 'Game of Shadows' movie-watching experience. There are interactive scene breakdowns, character profiles, surveillance videos, screenplay scripts and more. Developed by Warner Brothers, the promo describes the app as a deeper dive "into the reality of the Industrial Revolution revealed through its weapons, crime and science." With 2.9 stars out of five, the main criticisms with this app seems to lie on the excessive amount of memory that's required to run it -- not whether or not viewers didn't prefer Robert Downey Jr assuming the role. This guide is a free Windows Phone 8 app that brings you up to date on all the seasons and episodes of the TV show 'Elementary.' Providing images of the actors and scenes, you can also use these screen-captures to lock screen backgrounds for your phone. There are presently no reviews for this 2MB app, and since released October 29, 2013 this first iteration doesn't appear to have been updated yet. 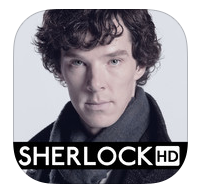 This app, priced at $4.99 follows the PBS TV hit show 'Sherlock' and is a Apple fanboy and fangirl favorite for iPhone, iPods and iPads. Developed by The Project Factory, it's a point-and-tap action game that will prove if you're an adept problem-solver when successfully assisting Sherlock and his trusty side-kick Dr. John Watson. Casey Tschida at AppsGoneFree describes it as "admirable -- a setup offering quite a bit of situational realism, though in a strategy board game-type fashion." Since a case typically includes a myriad number of locations, accomplices and suspects, it provides users with a map where they can select a mode of transportation based on some intrinsic benefits. In turn, since these components require a wide range of analysis and processing, players may need to hack a voicemail inbox by decoding a PIN, in addition to unscrambling anagrams and other key text while sifting through the collected data to put the pieces of the puzzle together before you actually solve the case - all the way along, of course -- using your powers of deduction. On to version 1.2, this five-star selling app has added minor graphics enhancements and attended to a few bug fixes obtained from player feedback. 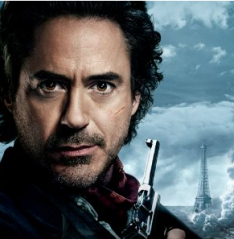 So will the real Sherlock Holmes PLEASE stand up? Today's review and comparison shopping analysis - in my book - points to Benedict Cumberbatch and his app as the winner. It provides the most intriguing elements that mimic some of Sherlock's intuitive "mind palace" thinking and is a challenge for users to master. Similar to the TV show, the app tests your problem solving acumen. This follows through with the creators of the PBS version of Sherlock, as it's - again in my book - leaps and bounds more compelling than either Elementary or Game of Shadows. While the mind-boggling, plot-twisting drama not only has whiz-bang pacing, it's plot construction and screenwriting are not only superlative to the other Sherlocks, but to almost anything else on the tube today. 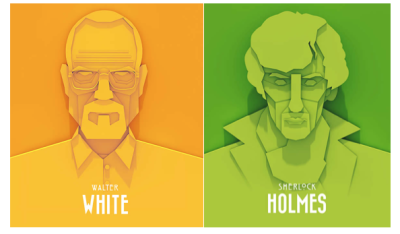 Putting it up against a show like Breaking Bad, for instance, might be going some, but take it from a TV addict like myself, Mr. Bryan Cranston's Walter White might have learned or trick or two had he consulted with Mr. Cumberbatch's Sherlock before the point-of-no-return - just saying!